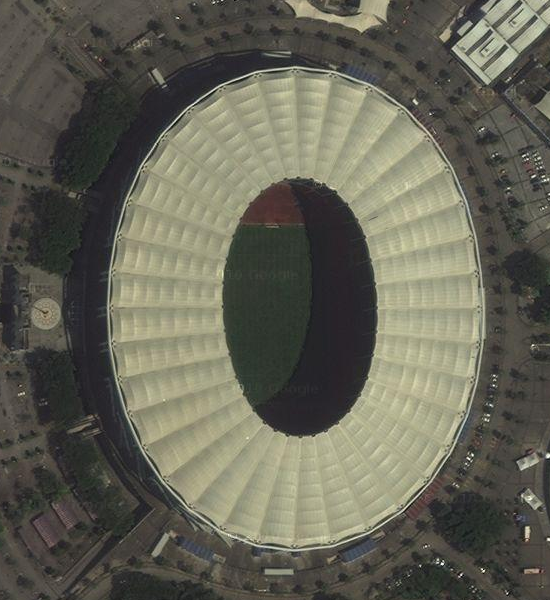 The track today is inside the national stadium of Malaysia, and is found just south of the capital city of Kuala Lumpur. 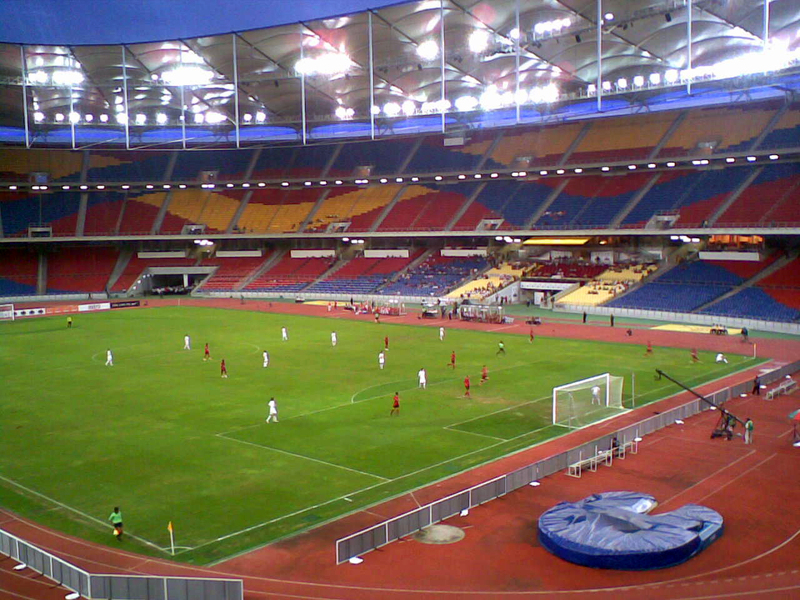 Stadium Nasional Bukit Jalil is a fairly new facility that opened in 1998. I am finding some conflicting information regarding its seating capacity though, ranging from 87,400 to 100,200. Either way, it’s still huge, and I am going to include it on my list of giant track stadiums. Because of the roof, you cannot see the wonderful colors of the stadiums seats, so I’m including a second photo for this one. And like the two previous stadiums, this is part of a huge sports complex and there is a second warm-up track outside the stadium.